I have to say, of all the pictures of Mt. Chocorua I have brought to you over the past year, today’s is my favorite. First, as I have said in almost every post about this natural beauty, it is never the same view twice. Today, with the thick low clouds, Chocorua’s iconic stone-faced peak is obscured. 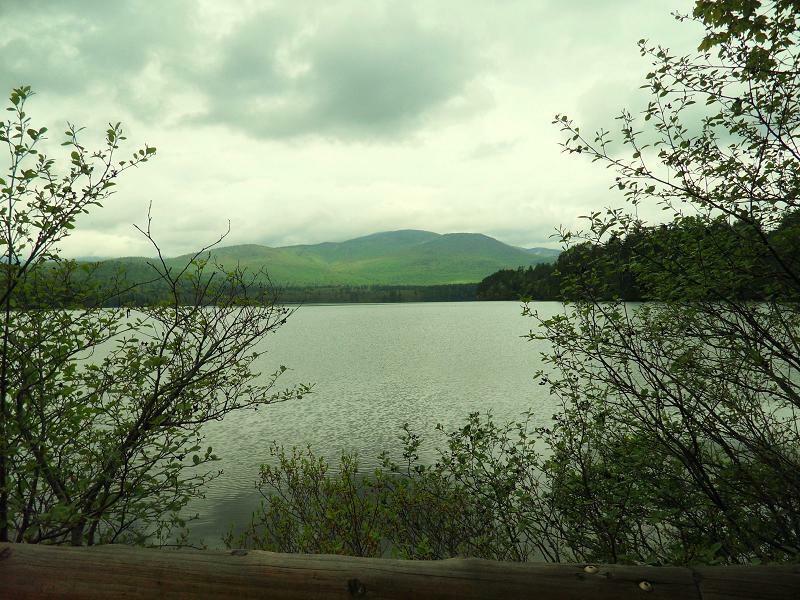 But instead of looking like a mountain in the clouds, it would appear to be just another rolling hill in the New Hampshire landscape – but we know what is up there. Second, I adore the spring greening of the mountain. You can see how the fresh greenery is making its way up the slopes. But it are the hints of sun reflecting on the baby green foliage that throws it over the top. Pure magic. Lost Cowboy is powered by	WordPress 5.0.4 and delivered to you in 0.805 seconds using 45 queries.